Why You Need An Inspection - Jackson Contracting Inc. Your roof is the first line of defense on your home. It is important to keep it protected as well. Just like you regularly have to go to the doctor to make sure you are doing okay, your roof is the same way. An inspection once a year is a regular standard that many people don’t even know about. They come out and check your roof, top top bottom and make sure there is nothing wrong with it. 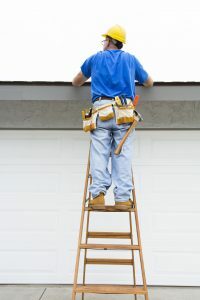 If there is something wrong with your roof, they will tell you in the form of a detailed list. Some of them will even make sure it is fixed that day if you’d like it to be. Here are a few reasons why you may want to get an inspector to your home right away. Roof Leak – It is easy to not see a roof leak or know there is one happening because, you don’t often find yourself checking on your roof. There could have been a storm and it may have damaged a few shingles that you don’t know about. It is important to get these fixed right away to prevent things like water damage. Roof Replacement – There is often a small window of time that you can save your roof from a roof replacement and just have to get a restoration. If you have an inspector out once a year, they will be able to tell you, before your roof is too far gone. A roof inspection is necessary in order to keep your roof looking great all year round. If you need help finding an inspector in your area, give Jackson Contracting, Inc. a call at 317-214-8124 and let us handle it for you. *For immediate processing please send all written correspondence to our main office at 459 East US Highway 36, Bainbridge IN 46105.